Complete wireless dimming starter kit. 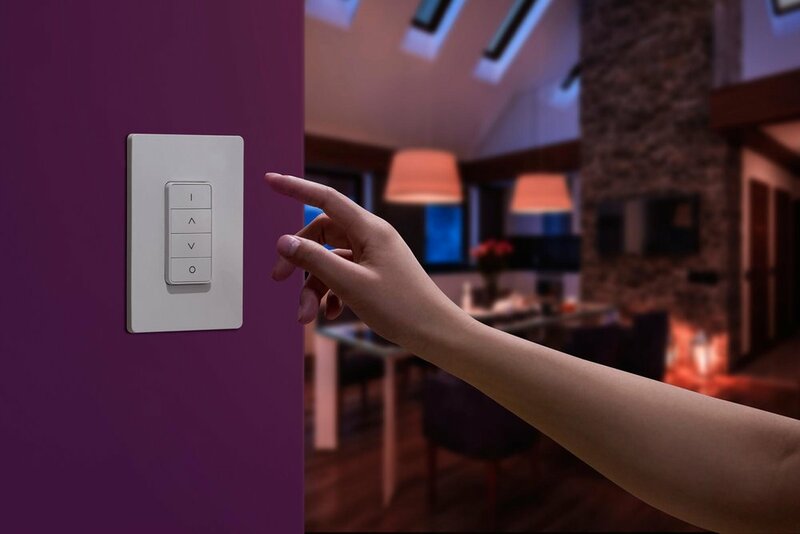 Comes with everything you need to control your lighting effortlessly from the kitchen to the comfort of your sofa by using the ERIA wireless dimming switch. Our starter kit comes with one pre-programmed A19 soft white 800 lumen wireless controlled smart bulb and one portable dimmer remote to give you control from anywhere in your home up to 90 feet with no hub required. Easy to use, easy to install, and works with any ZigBee certified light. Connect to an AduroSmart ERIA hub for total smart home integration.